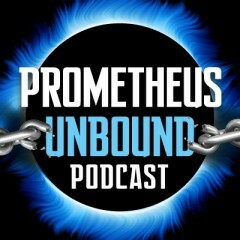 In episode three of the Prometheus Unbound Podcast, Matthew and I have a fantastic interview with the wonderful Jeffrey Tucker, editor of Laissez Faire Books. It’s a long one, about an hour and fifteen minutes, and we knew you’d be eager to listen to Jeffrey, so we wasted no time with chit-chat and got right down to business. We covered a number of topics ranging from LFB, intellectual property, and Jeffrey’s favorite fiction. We started off by asking Jeffrey Tucker what it’s been like working for a commercial publisher and bookseller after having worked for a nonprofit educational institution, the Ludwig von Mises Institute, where he was editorial vice president, for so long. Then we went on to talk about the business model of Laissez Faire Books and the role of the publisher in the digital age as a curator and service provider (curation as a service); the compatibility of open source and business; intellectual property; the nature of competition; how many entrepreneurs and businesses misidentify the source of their profitability and don’t understand why people buy their goods or services; how copyright has held back the publishing industry; and markets as institutions of teaching and learning.